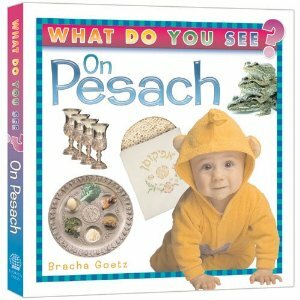 Expert Review of What do You See on Pesach by Bracha Goetz, one of our picks of the top Jewish books for kids! Teach your toddler about the Jewish holiday of Pesach (Passover) with this bright and colorful word-and-picture board book. Children will learn basic vocabulary while becoming familiar with the objects and concepts that are unique to this special time of year.